Zombie Run Free is a free Adventure Game For Windows 8 and 8.1 computers. 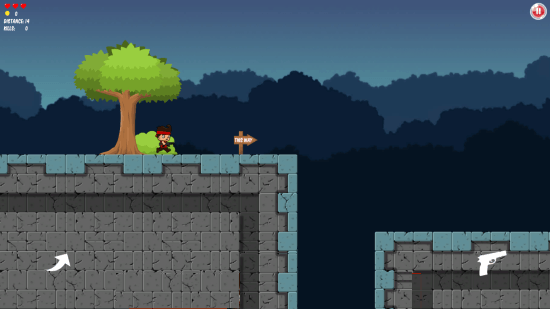 Released by Hungry Pixels, this is an exciting new runner game with zombies and guns. 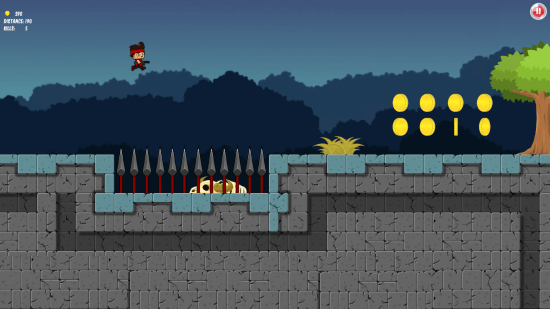 Jump over the zombies, shoot them, collect points, dodge the traps, and there’s much more to do. Its zombie apocalypse and you have been left out in a zombie affected area. Your mission is to get out of the area and collect as many coins you can. So, get ready for the exciting run. This action game for Windows 8 occupies only 11.1 MB on your device. Get this zombie game on Windows App Store for free. Search for the game by its name in the search bar. The download link is also available at the end of this article. Click the Install button on the game’s page to automatically download and install this adventure game for Windows 8. To Play this action game for Windows 8, you just need two keys on your keyboard. Press Space Bar to jump, and the ALT Key to shoot the gun. The game begins with a zombie running towards you. You can either kill the zombie with your gun, or simply jump over it. For tablet users with touchscreen, tap the corresponding areas to jump or shoot. 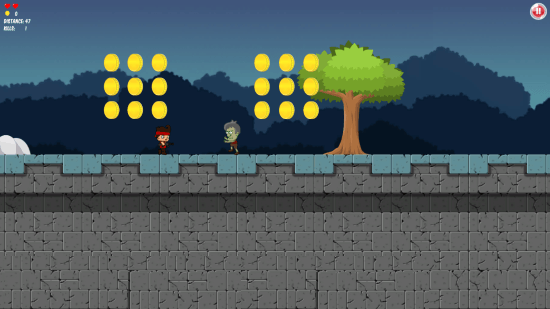 Its not just zombies around; collect coins to make highscores. 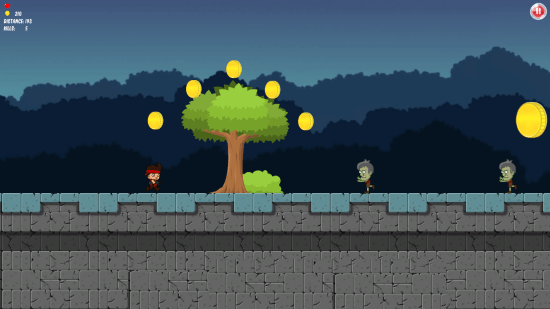 Jump and collect the coins, but be aware of the zombies. If you touch a zombie, you loose a life, however jumping over zombies will kill them but not you. You can view the total lives on the top left corner of the screen. There are traps like the above one all over the place. Keep an eye on the screen, or it results into a lost life. Sometime you will also find life while you play. Jump and collect to play for even longer. You will be given missions in this adventure game for Windows 8. For example kill a certain number of zombies, or collect a certain number of coins. Complete your missions to earn rewards. This game gets more intense as you play it. More deadly traps, and more zombies will welcome you. 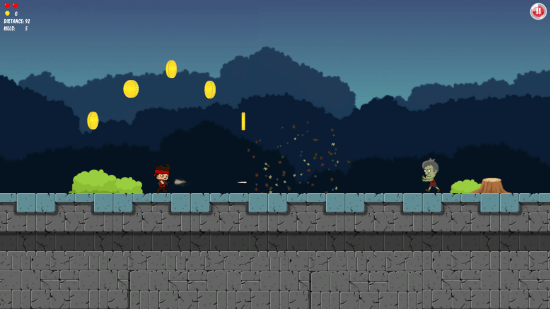 This is an addictive zombie game for Windows 8. Visuals are pretty decent, and the sound effect goes with the game’s theme nicely. It is a perfect download if you are looking for a game to really bust those boring times when you do not have anything to do. 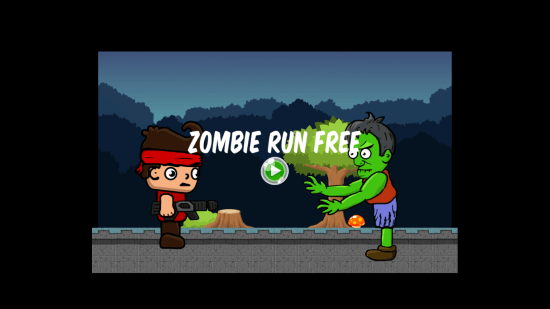 Download Zombie Run Free for Windows 8 and 8.1 computers.